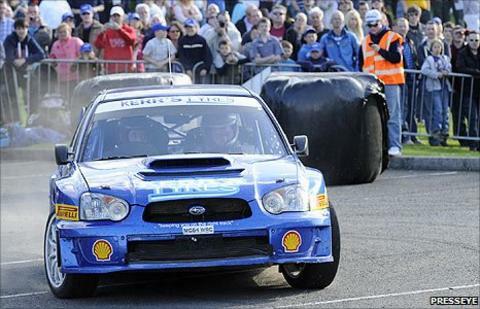 Derek McGarrity beat Kenny McKinstry by 41.7 seconds to claim his fifth win in the Circuit of Ireland rally on Sunday. Banbridge veteran McKinstry, seeking his first Circuit success, had held a slender overnight lead but lost ground on the slippery Emyvale stage. McGarrity and co-driver James McKee took over and maintained their lead over the final five stages. Kevin Barrett finished in third place with John Dalton fourth.